Rowan ECE offers two graduate programs, a new Ph.D. in Engineering with specialization in Electrical and Computer Engineering, and an MS in Electrical and Computer Engineering, which consists of research track (with thesis) and professional track (courses only). This page provides an overview of these programs, while a more detailed description is available under the Master of Science in ECE and Ph.D. in ECE links on the navigation panel. Why Should You Go to Graduate School? Opportunity to specialize in your field of interest – graduate study allows you to focus your studies on topics that particularly interest you. Job security - everything else being equal, those with advanced degrees are more likely to retain their positions and/or find a replacement position when needed. Opportunity to earn a higher salary – on average, engineers with a Master’s degree receive a 15% higher starting salary, compared to a BS graduate. Those with a Ph.D. degree can expect even higher earnings. In collaboration with Lockheed Martin Company, the ECE department is now offering a new certificate program, called Certificate of Graduate Studies (COGS) in Combat Systems Engineering (there is also a Certificate of Undergraduate Studies (CUGS) in Combat Systems Engineering (CSE), described in the ECE Curriculum section of our website). These certificate programs are intended to help develop the growing workforce needs of the area’s prominent defense industry. In fact, all classes are taught in cooperation with Lockheed Martin engineers. Active participation and successful completion of this program give students skills in analysis, design, evaluation, and validation of combat systems that are essential for all systems engineering jobs in the defense industry, and hence can dramatically increase your chances of getting one of those highly sought-after and well-paying defense industry positions. Unlike the corresponding CUGS, there is no restriction regarding how many of these four graduate classes can be counted towards the MS in ECE program, and indeed all four of them can be used to satisfy the graduate degree program requirements, so long as they are approved by your graduate advisor. All thesis/dissertation students MUST, therefore, consult with their thesis advisors before registering for any of these classes to ensure that the classes fit into their program of study. Please also see the Graduate Programs in Combat Systems Engineering brochure for additional details. This track is designed for those who are interested in developing an expertise within a specific area of focus within Electrical and Computer Engineering. To develop such an expertise, students in Research Track perform a rigorous research, supervised by an advising professor, on a specific topic of interest to solve a previously unsolved problem. The outcome of this research culminates in an MS thesis. Students who would like to excel in one of the areas of electrical and computer engineering, or those who are considering pursuing a Ph.D. one day, typically choose this track. Students who are accepted to this track are often eligible for research or teaching fellowships that can reduce or eliminate the out-of-pocket cost of the graduate education. Visit Master of Science in ECE for more details. This track is designed for those who are not interested in writing a thesis, but rather interested in expanding their breadth and depth of ECE knowledge by taking a larger number of courses in a wide spectrum of electrical and/or computer engineering fields. Students in this track do not work on a thesis and take 30 credits of courses, which his typically 10 graduate level courses. While this is a course-only track, students who wish to obtain some research experience may choose to work on a smaller-scale project that can be counted for 3 credits (or 1 class). Visit Master of Science in ECE for more details. Electrical and Computer Engineering Department is offering a Ph.D. in Engineering program with a specialization in Electrical and Computer Engineering that consists of a unique and innovative curricular structure. 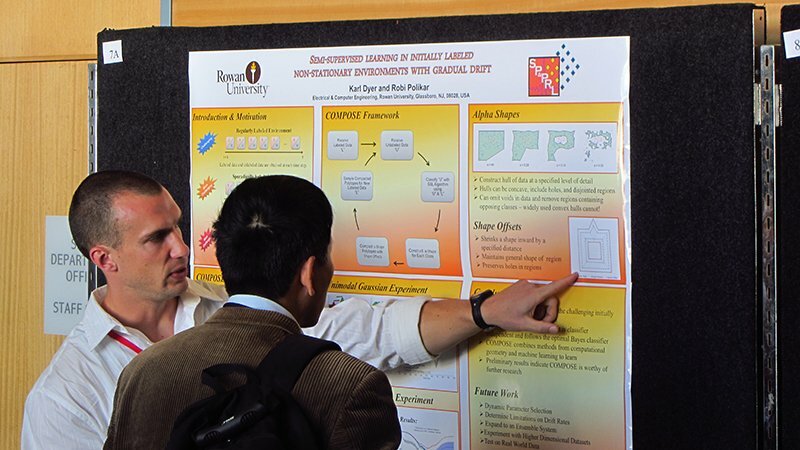 Rowan’s Ph.D. program is a terminal degree program that is specifically designed to meet the changing needs of researchers, scholars, and scientists in academia, industry, and the government. The primary goal of this program is, therefore, to prepare students for careers in research and/or academics by providing an environment that closely reflects the realities and expectations encountered by today’s academicians, professional scientists, and research engineers. The program is designed to offer a highly flexible inter and multi-disciplinary curricular structure, allowing specialization in any (or multiple) of the traditional or emerging engineering disciplines. The primary strength of the program is involving students in activities that they are most likely to encounter in real-world academic or industrial settings. Please visit Ph.D. in ECE for curricular details of the program. Please visit the Thesis & Dissertation Requirements page at the Global Learning and Partnerships of Rowan University (GLP) for information on thesis format requirements, deadlines, submission requirements, etc. Electronic templates are available at the above link, as well as a thesis manual. All students in M.S. Research Track or the Ph.D. program must file a Thesis/Dissertation Committee Appointment Form , typically during the first year of the program. A Thesis Approval Form or a Dissertation Approval Form must be presented to the Thesis / Dissertation Committee members for their approval and signatures, prior to submission to the Office of Graduate Research Services. A separate College of Engineering Thesis / Dissertation Approval Form must also be approved/signed by the Committee and submitted to the Associate Dean for Research. Registration each term meets or exceeds the enrollment minimums outlined on the Fellowship Agreement Form. This will typically be full time (9-12 SH) in fall and spring, and part-time (3-9 SH) in summer. International students must meet the requirements of their student visa with respect to full-time enrollment (please visit the International Center for details. Work with faculty members on research projects leading to an MS thesis or PhD dissertation. Submit the additional hiring paperwork listed in the Fellowship Agreement. Commit additional hours each week for each term to academic research. Research fellowships are awarded primarily by individual faculty and are paid from their externally funded research grants. To increase your likelihood of getting a research fellowship, contact the professor with whom you would like to work early in the application process. Award amounts vary and may include any combination of the following across different semesters based on the satisfactory research and academic performance and availability of funds. Full details about the student costs, funding provided, and all expectations and responsibilities required of Fellows are included in the official Graduate Fellowship Agreement Form. Fellowship Agreements are subject to change due to changes in funding availability. No university or department-sponsored fellowship is available for MS students after students have reached the 30-credit limit. Completion of a Bachelor’s degree in electrical or computer engineering or a related area from an accredited institution of higher education. Completion of foundation courses: Physics I (Introductory Mechanics), Calculus I, II, and III, Linear Algebra, Differential Equations, and at least one of Physics II (Electricity and Magnetism) or Chemistry I or Probability & Statistics. a minimum TOEFL score of 70 (higher is preferred) on the internet based test (IBT). 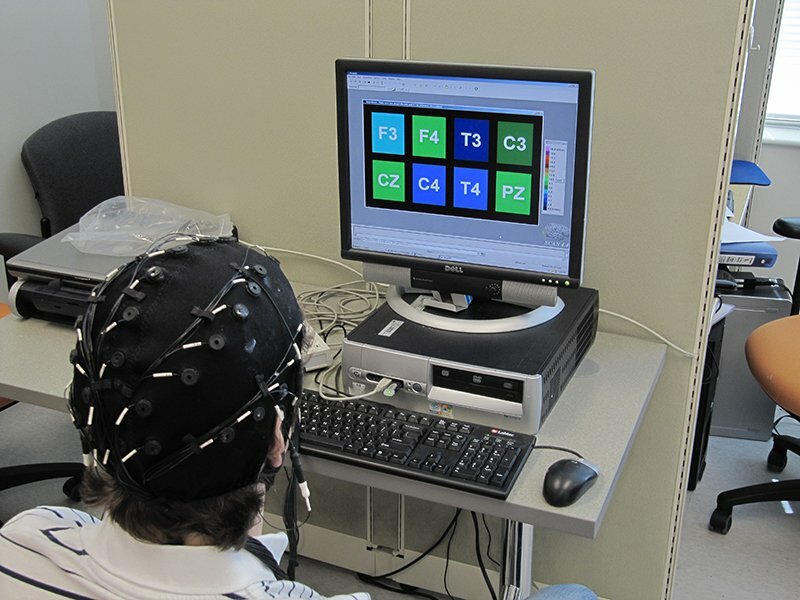 Corresponding scores for the paper and computer-based tests are 525 (PBT), 213 (CBT). A GRE exam is NOT required, but encouraged; however, GRE scores will be used in evaluating the applicant should the applicant choose to provide these scores. Students are particularly encouraged to submit GRE scores if they believe their academic background is stronger than what is implied by their GPA. Applicants for the Ph.D. program are also encouraged to submit GRE scores.